California’s Imperial County continues to shake this morning. The area, located in the southern part of the state, west of Yuma, has experienced more than 400 earthquakes just since Sunday.The largest reported quake was magnitude 5. Arizona residents will vote in a primary election this week, and a few high-profile seats are on the line. U.S. Senator Jon Kyl is retiring, and sitting Republican Congressman Jeff Flake is trying to take his seat. If you feel like you have a case of the Mondays, you can expect to have a case of the Tuesdays, Wednesdays and Thursdays, as well. Research conducted by Stony Brook University and published in the Journal of Positive Psychology has found most people dislike these four weekdays equally. The U.S. Department of Justice has announced it will monitor polling places in Maricopa County for discrimination during Tuesday’s primary election. Under the Voting Rights Act of 1965, the Justice Department is authorized to send federal observers into certain jurisdictions -- including Arizona -- to monitor polling locations. The Arizona Department of Corrections is expected to award a prison contract this week to a private out-of-state company, with the goal of producing 1,000 new medium-security inmate beds. While the location and expected cost of the facility expansion have not yet been determined, The Arizona Republic reports use of a private company is more costly for taxpayers, according to state records. Arizona continues to face an ongoing drought, but a new paper suggests the state's farming future is important, and can be done more efficiently.Karen Smith, a former Deputy Director at the Arizona Department of Water Resources, and Water Quality Director at the Arizona Department of Environmental Quality wrote the paper for the Grand Canyon Institute, at which she's a Fellow. An arbitrator has awarded a Las Vegas developer about $28 million in a contract dispute over the Grand Canyon Skywalk. KJZZ’s Al Macias reports that may not be the final word.The Hualapai owns the glass bridge that gives visitors a view of the Colorado River through the Grand Canyon. The state appeals court has ordered the initiative on the city of Glendale's sales tax should appear on the November ballot. That reverses a lower court's ruling. A group called Save Glendale Now filed the initiative that would reverse a recent sales tax increase and subject future hikes to voter approval. The Mars rover Curiosity has been on the red planet for a little more than two weeks now. The robotic explorer started slowly moving from its landing site late last week. Several scientists from Arizona State University are on the research team. Governor Jan Brewer has three finalists to choose from to fill a vacancy on the state Supreme Court. If a November ballot initiative is passed, the number of finalists for a future opening would be at least eight. Arizona Senator John McCain says defense cuts that could go into effect on New Year's Day would very seriously impact Arizona’s military installations, as well as its defense industry. 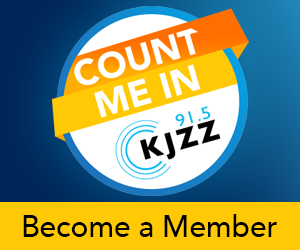 KJZZ’s Mark Brodie reports. The Arizona Court of Appeals heard arguments Thursday over whether an initiative that aims to reverse a sales tax increase by the City of Glendale can appear on the November ballot. Members of the group Save Glendale Now. Much of the Valley is drying out after a second night of monsoon storms. More than an inch of rain fell in some parts of the Valley. Flood Control engineers say many parts of the county are soaked. That could be a problem if there is more rain. For a third night in a row, Arizona was hit by heavy rain. Sky Harbor recorded eight tenths of an inch. Other parts of the Valley saw well over an inch, like Scottsdale -- where a driver tried to cross a flooded wash and became trapped. The first step towards replacing Maricopa County’s 40-year-old hospital was approved Wednesday. KJZZ’s Al Macias reports it could be a year before recommendations are ready on how to go about paying for a new hospital. Jim Lehrer once noted that “the political conventions are among the few ‘shared’ national political events left.” If only this were still so.Americans don’t “share” the Conventions as they used to -- and the Parties are far from what they used to be. Campaign finance filings show that Maricopa County Sheriff Joe Arpaio has raised almost $7.5 million dollars for his re-election bid. 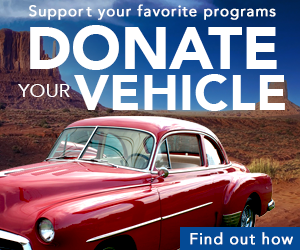 From Phoenix, Jude Joffe-Block reports that out of state donors are helping his effort. The City of Glendale and a group trying to reverse a newly imposed tax increase are scheduled to appear in court Thursday. From Phoenix, KJZZ’s Nick Blumberg reports.In June, the Glendale City Council approved a 0. Experts take a look at the effects on families and students when high schools charge them to play sports. Sarah Clark, research assistant professor for the University of Michigan, and Arizona Republic columnist Scott Bordow agree that charging students to play sports can have negative effects.